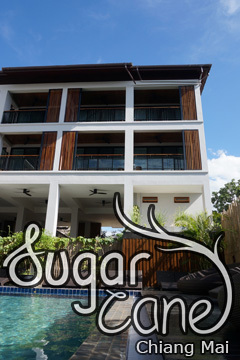 Studio 99 Serviced Apartment - Tha Phae, Chiang Mai, Thailand - Great discounted rates! 8.6 out of 10 based on 453 verified user reviews via Agoda. Set in a prime location of Chiang Mai, Studio 99 Serviced Apartment puts everything the city has to offer just outside your doorstep. The hotel has everything you need for a comfortable stay. Take advantage of the hotel's free Wi-Fi in all rooms, 24-hour security, daily housekeeping, fax machine, photocopying. Guestrooms are fitted with all the amenities you need for a good night's sleep. In some of the rooms, guests can find cleaning products, closet, complimentary tea, towels, additional toilet. Enjoy the hotel's recreational facilities, including massage, before retiring to your room for a well-deserved rest. Studio 99 Serviced Apartment is an excellent choice from which to explore Chiang Mai or to simply relax and rejuvenate. Studio 99 Serviced Apartment - Chiang Mai classifies itself as a 3 star hotel.